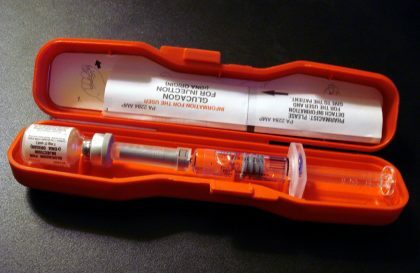 More widespread use of glucagon could reduce the number and severity of hypoglycemic episodes requiring emergency medical attention and hospitalization. A brief research report is published in Annals of Internal Medicine. Researchers from Harvard Medical School reviewed data from the National Emergency Medical Services Information System (MEMSIS) Public-Release Research Datasets from 2013 to 2015 and from Medicare Part D claims from 2014 to characterize glucagon use and availability in the pre-hospital and outpatient setting. They found that glucagon is underutilized by emergency medical personnel and underprescribed to patients. According to the researchers, prescribing glucagon to patients could effectively reduce pre-hospital hypoglycemic complications. They also suggest that all emergency personnel nationwide should have access to glucagon along with training to safely administer it. Ensuring this access could reduce morbidity, mortality, and healthcare costs.